Andrews Hardware Company and theDªndrews family have been a familiar partDAof Southwest Alabama since the earlyD¡900s. The Andrews name has become synonymousDAwith quality hardware, buildingDAsupplies, and superior service spanningD¯ive generations. Developing long term relationships withDAthe people and communities served overDAthe years has been a key factor in the successDAof the business. The continued growthDAof Andrews Hardware Co. has been madeDApossible through the dedication of its greatDAstaff and the loyalty of its customers.Dªndrews Hardware Co. began in a smallDAwood-frame building on Main Street inD¬itronelle in 1923. 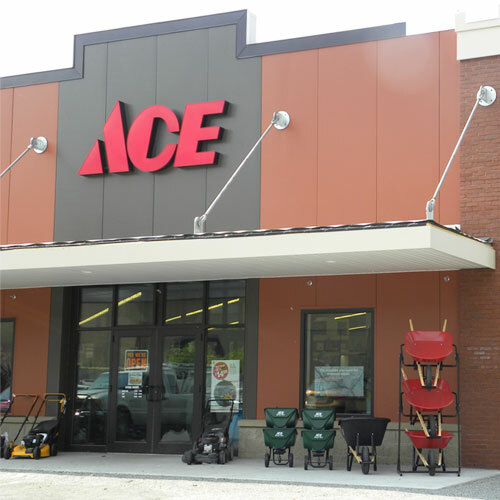 The store now consistsDAof a modern 27,000 square foot buildingDAwith a large drive-through lumber yard onDAHighway 45 along with a rental center andDAsmall engine repair facility.Dª second location on Celeste Road inDAthe Turnerville community convenientlyDAserves customers in that area.